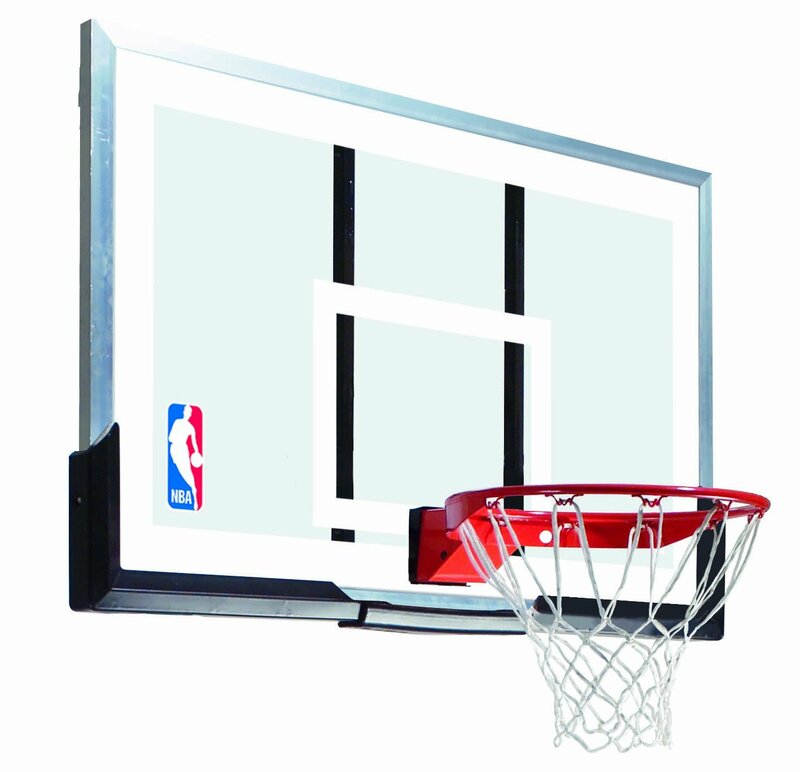 The Spalding 79564 Wall Mount Basket Ball Hoop System features a 54 inch acrylic backboard, heavy-duty steel frame, Arena Slam breakaway rim, all weather net, and NBA logo. This is one of the most highly touted wall mount hoops out there, so we will see how it performs and if the hoop is worth the price. Assembly is quite easy as the instructions are concise and everything you need is in the package. It comes with a mount that you may attach to a square pole, roof, or wall. A fine option is to also get Spalding’s U-Turn Lift System Bracket which would make your wall mounted hoop adjustable in height. The backboard is quite heavy so at least two people are recommended to install it problem free. The build quality is superb. From the backboard all the way to the print/logo, this hoop screams quality. The acrylic backboard of course will not be as professional looking/feeling as a tempered glass one, but it is enough to make this a great hoop. There is some movement/vibration when the goal absorbs strong shots but it is very minimal. The steel frame is made of heavy duty steel and looks like it will last a lifetime. While it has it flaws, the Spalding 79564 Wall Mount Basketball Hoop System is still a great buy especially at its listed price. It may not be near professional levels, but for the price it is definitely worth it to be in your garage. The backboard, frame, and rim are all high quality stuff and if you would add Spalding’s U-turn Lift Mount, it’s close to perfect for any baller.